The sky cleared after three days of Titli-triggered rainfall but there is no let up in the misery of flood victims in Ganjam and Gajapati districts. BERHAMPUR: The sky cleared after three days of Titli-triggered rainfall but there is no let up in the misery of flood victims in Ganjam and Gajapati districts. Water is receding but places such as Chikiti, Patrapur, Purushottampur and Hinjili are still not approachable due to damaged roads. Although two helicopters of Indian Navy have been engaged in air-dropping relief materials, lakhs of affected people in Aska and Sorada blocks are without food and drinking water. Cut off from the mainland, many villages in these two blocks are without power and mobile connectivity. 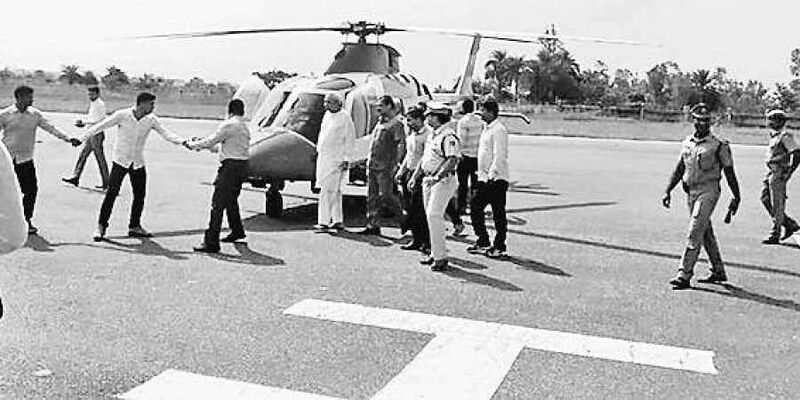 Restoration work was stalled for about two hours as top officials and bureaucrats were busy with Chief Minister’s aerial visit of flood-hit areas in Ganjam, Gajapati and Rayagada districts. In neighbouring Gajapati, only 20 per cent of places, including Parlakhemundi, are accessible. Power connection is yet to be restored and uprooted trees have not been cleared from many roads. Vehicular traffic, however, has been restored to some extent from Andhra Pradesh. Villagers, who were sheltered in the multipurpose cyclone shelters, are not in a position to return to their homes as approach roads are submerged. Only a few managed to return to their homes to begin repair works. However, they are in dire need for cooked food, drinking water and medicines. People are apprehensive that the situation would lead to waterborne diseases.